Powerful stapler features a comfortable, soft-touch handle that lets you staple up to 35 sheets with extreme ease. Flat clinch design keeps stacks of papers neater and flatter to prevent large, bulky stacks. Comfortable rubber surface provides an enjoyable fit for any gripping style. Versatile design stands vertically or can be used as a desktop stapler. Storage compartment holds two strips of 100 staples to keep extra staples within quick reach. 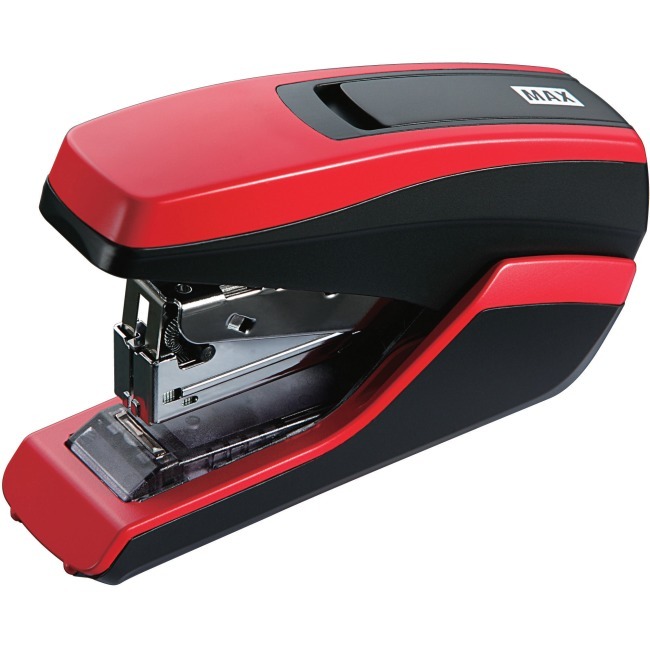 Stapler is designed for use with any standard-size staple (sold separately).